What is the filling of the Holy Spirit? How can a person be filled with the Holy Spirit and how does a person know that he / she is filled with the Holy Spirit? It’s important to understand that the Holy Spirit has been promised to every Christian believer. In John 14:16-17 Jesus promised that the Holy Spirit is our Helper who will dwell inside of us forever. However there is a difference between the indwelling of the Holy Spirit and the filling of the Holy Spirit. That scripture is speaking of the fact that the Holy Spirit simply dwells or resides inside the Christian believer. The filling of the Holy Spirit however, speaks of the influence and control that the Holy Spirit must have in our individual lives. For example, Ephesians 5:18 says “Do not get drunk with wine, for that is debauchery, but be filled with the Spirit”. Therefore when a person is drunk with wine or alcohol – the wine is not only dwelling inside that person, but the wine is influencing and controlling how that drunk person thinks, behaves and how he makes decisions. So Paul is contrasting that by saying that instead of wine influencing and controlling our thinking and behavior – as Christians, the filling of the Holy Spirit is about us allowing the Holy Spirit to influence and control every area and aspect of our life. The Holy Spirit should therefore influence and control how we think, behave and make decisions in our life. The Holy Spirit our motives, our relationships, our character so that everything in us and about us is under the guidance of the Holy Spirit. That is the filling of the Holy Spirit. How Can We Be Filled With The Holy Spirit? Sin is what basically hinders the filling of the Holy Spirit. However, obedience to God is how the filling of the Holy Spirit is maintained. Jesus said that if we love Him then we will obey His commandments. Jesus also said that the Holy Spirit will bring to remembrance all the teachings and things that He has taught us. Therefore our remembrance and obedience to God’s word allows the Holy Spirit the freedom to fill us and work in our lives. Our motive must always be to glorify Jesus Christ if we want to be filled with the Holy Spirit. The primary purpose of the Holy Spirit in our life is to equip us and enable us to live a life that glorifies Jesus Christ. Therefore it’s important for every Christian believer to be influenced and controlled by the Holy Spirit. But the fruit of the Spirit … self-control. Without self-control, people give in to all sorts of temptations from the devil and become easily led to act more out of feeling and emotion rather than to act according to the word of God. The Holy Spirit is able to teach us and help us to have self-control is our daily lives. Sometimes we need to control our anger; our attitude; our thoughts; our emotions and our actions on a daily basis. We must understand that we are responsible for our own actions. Paul writes that in the last days people will be “without self-control”. 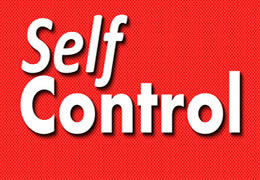 Clearly a person who does not have self-control is a person who does not submit to rules and to the authority of God. For without self-control, chaos reigns in the life of a person. This kind of self-control has actions and reactions that glorify God. It is not self-centred. This kind of self-control does not only rely on emotions and feelings alone. This kind of self-control allows the Holy Spirit to control every area of a person’s life from the mental, spiritual to their physical state. Clearly for a person to grow spiritually, one of the virtues that a person must have is self-control. Many great men have fallen because they lacked self-control. Perhaps they committed adultery or they could not control their temper. TODAY. Pray for the Holy Spirit to teach you to exercise self-control. Gentleness in the Greek, “prautes”, commonly known as meekness or humility is a virtue of God. It is a fruit of the Holy Spirit that is available in our lives through the Holy Spirit. 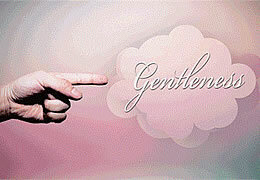 Gentleness is not about being a “soft” person whom people can push around, bully and exploit. You are meek and humble. Therefore you are not governed by pride in your attitude towards life and towards other people. You have a balanced and modest opinion of yourself. You see yourself through God’s eyes. You do not see yourself as being “better” than somebody else. You are always conscious that God must be glorified in all that you do. You are not boastful, but you realize that every good thing in your life is because of God and not because of your own effort alone. Paul writes that we are to show “ALL humility to ALL men”. Gentleness / Humility is therefore is an important attribute to have in our relationships. It is very easy in our different interactions with people to be very boastful and conceited. Therefore whenever we are not humble, we give room to pride, which will then lead us to have a wrong and ungodly opinion of ourselves and of others. Therefore put on humility as a virtue wherever you go and with whomever you interact with. Ask the Holy Spirit to teach you and remind you and instill in you the virtue of gentleness / humility. Even Jesus humbled Himself. While He was in human form, He had great power, great authority, great influence and yet He showed great humility in His relationships and in the way He behaved. God wants us to show humility even when we have power and authority. God wants us to use our influence and authority to His glory and to submit to His will. TODAY. Show gentleness; show humility. How committed are you to what you believe in? Are you steadfast and firm in the word of God? Are you committed your relationships? Faithfulness requires that we be committed. It is part of God’s quality and character and the Lord desires that His children be committed and faithful to Him and to His word. Even when we don’t have faith in God or in His word, God will always remain faithful to His teachings and to His principles. Whatever God promises do to – He WILL do it. God does not change. His word does not return to Him void. However, being faithful and committed is not always easy. 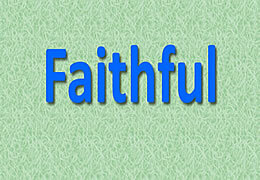 Nevertheless God desires that we be faithful. Therefore what are some of the attributes of one who walks in faithfulness to the things of God? We must know who our rewarder is. When we keep the faith or remain faithful, God is the one who rewards us ultimately. Not man. (Hebrews 11:6 : But without faith it is impossible to please Him, for he who comes to God must believe that He is, and that He is a rewarder of those who diligently seek Him). Be led by the Holy Spirit, because faithfulness is a fruit of the Spirit. TODAY. Allow the Holy Spirit to help you to continually be faithful. It is God’s desire that we become good people through His Son Jesus. After all, when God created Man, before Man sinned in the Garden of Eden, God saw that Man was good. When God created the entire earth and all the creatures, God saw that all that He had created was good. God is full of goodness, therefore only good can come from Him. A good tree cannot bear bad fruit, nor can a bad tree bear good fruit. Every tree that does not bear good fruit is cut down and thrown into the fire. Therefore by their fruits you will know them. The fruit of Goodness comes to us through the indwelling of the Holy Spirit in our lives. God is good. Therefore we need God by His Spirit to teach us to be good not only for ourselves, but also for others. TODAY. Be good, just as God is good. Kindness is defined as having or showing a friendly, generous, and considerate nature. I personally like to define it as compassion in action. Kindness is acting for the good of people whether the people deserve it or not and without particularly judging them. Jesus always acted out of love for the good of others. His love and compassion for people caused Him to act in kindness towards people even if they didn’t deserve it. We live in a world where people’s love for one another has grown cold. People have become more selfish, more greedy, more stingy and more self-centred. When Jesus went about healing and helping all those who needed Him, Jesus did not judge the people, nor decide whether the people deserved His help or not. Jesus would see a need and then He would meet it. … for He makes His sun rise on the evil and on the good, and sends rain on the just and on the unjust. God’s kindness does not discriminate. Everyone needs God whether they know it or not. God continues to provide people’s needs whether people love Him or not. The word kindness comes from the Greek word chrestotes (khray-stot-ace). Anyone who demonstrated this quality of chrestotes was considered to be compassionate, considerate, sympathetic, humane, kind, or gentle. The Holy Spirit is able to help us to show kindness to others as kindness is an attribute and characteristic of God. TODAY. Allow the Spirit of God to help you to demonstrate kindness to others. Patience is part of God’s character. It is a character that you too can have through the Holy Spirit. 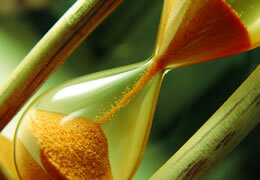 The Greek word for Patience is “makrothumia (mak-roth-oo-mee’-ah)”. This Greek word denotes longsuffering, endurance, and fortitude. We live in an impatient world. Everything needs to be done quickly and at the touch-of-a-button or else people will easily give up, give in, complain and become disappointed. However, in life, there is a time for everything. God wants us to be patient. Not everything happens the way we want it and whenever we want it. Therefore we must always be patient and allow God to do His work in His own time. This type of patience is produced by the testing of your faith through the problems and challenges that you may face in your life. This type of patience is not just about waiting for something to happen. It is about being strong in the Lord while you wait. This type of patience helps to build your character and your relationship with God because it is an exercise in maturity, endurance and fortitude. This type of patience matures you so that you lack nothing. You become confident in the Lord. God is patient. God wants YOU to be patient too. And if you want to be patient then you need the Holy Spirit to teach you to be patient. A situation can test your patience; a person can test your patience; God can test your patience. Either way, you need to endure and persevere in the midst of tests and trials because when you pass the patience test, you are assured of God’s promise. Have faith in God as you wait on the Lord. Don’t focus on the time frame; don’t be limited by time. God is not limited by time. TODAY. Allow the Holy Spirit to enable you to be patient. Oct. 03 Emotions & Thought Life, Holy Spirit Comments Off on How Can I Find Peace In My Life? How can i find peace in my life? Have you ever asked yourself this question? We live in a world full of strife, disagreements, lack of rest and lots of stress. It seems difficult in the midst of our circumstances to find peace. However, what is peace? How do we find peace? The world may define peace as the absence of war; or as the absence of problems. However, how does God define peace in a fallen world such as ours? Peace, from a biblical perspective is a state of rest in the Lord; it is when you are in a state of calm and assurance that everything is under God’s control despite the physical and environmental circumstances. The Greek word for Peace is “eirene”, which expresses the idea of calmness, completeness, or tranquillity in the soul that is unaffected by the outward circumstances. The word eirene strongly suggests the rule of order in place of outward chaos. The peace that Christ gives in this world is not the absence of problems. Jesus does not promise us that our problems on this earth will seize. However, He does promise that if we yield to the Holy Spirit and if we rely on Him, we will have peace even in the midst of our circumstances. 4. This peace rests completely in God and trusts and believes that God is in complete control of any and every situation. 5. This peace will guard your heart and mind through Christ Jesus. 6. Set your mind on good and righteous thoughts. Do NOT continue to focus on your problems. Don’t meditate on your problems any longer. Whenever you focus your mind and thoughts on Godly thoughts and things, you will find that your perspective will begin to change. Focusing or meditating on Godly positive thoughts will lead you to a state of inward peace. How can i find peace? TODAY. Receive the PEACE that comes from the Holy Spirit. How Can I Obtain This Kind Of Peace In My Life? In order to find this kind of peace in your life, you must become born again; you must become a Christian. A person cannot have true peace without having Jesus in his or her life. Jesus Christ is the Prince of Peace and the Source of peace (Isaiah 9:6). True peace begins when I become a born again Christian. DO YOU WANT TO BE A CHRISTIAN or A FOLLOWER OF JESUS CHRIST TODAY? This prayer is only an EXPRESSION of your faith, belief & trust in Jesus. Oct. 02 Emotions & Thought Life, Holy Spirit Comments Off on How Can I Have The Joy of The Lord? How can you have the joy of the Lord in your life? Is there a difference between the joy of the Lord and the joy / happiness that comes from the world? The scriptures reveal that joy is part of the fruit of the Holy Spirit. Furthermore, the joy that is of God is far different from the definition of joy / happiness according to the world. The Greek word for JOY when referring to the Fruit of the Spirit is “Chara”. This type of joy comes only from God. The Holy Spirit is the source of this type of joy. It is a supernatural joy. This joy is not based on human happiness nor is it just a feeling. This type of joy will remain and continue to exist even during hard times. This type of joy will strengthen you through your trials. This type of joy exists, not because of the circumstances, but it exists because of the Holy Spirit and it is part of God’s personality. People look towards money, power, material things and various types of relationships for joy. But the problem of having such things as the source of your joy, is that such joy is short-lived and is temporary. Money can go; power can be lost; material things can burn; and if your joy is based on such things then your joy is temporary and susceptible to the circumstances. … for the joy of the Lord is your strength. Your joy must come from the Holy Spirit. The source of your joy must be God. Because the joy of the Lord is forever. The joy of the Lord is your strength and nobody can take this type of joy away from you. The Holy Spirit is able to allow your joy to remain even through trials. He is able to strengthen you so that your challenges do not overwhelm you. You must be a born again Christian; John 3:5-6 says – Jesus answered, “Most assuredly, I say to you, unless one is born of water and the Spirit, he cannot enter the kingdom of God. That which is born of the flesh is flesh, and that which is born of the Spirit is spirit”. At ALL times in your life, you must have a thankful attitude – ALL THE TIME. 1 Thessalonians 5:18 says “In everything give thanks; for this is the will of God in Christ Jesus for you”. Having a thankful attitude gets you focused on the good things going on in your life and not on your problems. When you are thankful to God always, you allow the joy of the Holy Spirit to manifest in your life. TODAY. Be filled with the joy of the Holy Spirit in Jesus’ name. Do you want to know what God’s personality is like? Ephesians 5:1 says “Be imitators of God as His dear children”. God wants us to be like Him in character and in our behavior. After all, we are made in His image. Therefore if you desire to be an imitator of God, then look at and learn about the 9 Fruits of the Holy Spirit. The fruit of the Spirit are the characteristics of God and in this particular post I am going to focus on LOVE. To know how to love, then you need to love like God loves. Paul uses the Greek word “Agape” to describe the kind of love mentioned in 1 Corinthians 13. Agape Love is unconditional and sacrificial. It is the God kind of love. Agape love looks for the best in a person even whilst that person is in their worst state. Agape love will cause somebody to sacrifice the best of themselves for the one they love. God showed such love when He sent His Son Jesus to die for our sins whilst we were yet sinners. Agape love will not behave rudely but will treat everybody with respect and compassion, irrespective of the background, skin colour or class in society. Agape love does not seek its own in that this kind of love is motivated by seeking the well-being of others. With this kind of love, it’s not about what’s in it for you – but also what’s in it for the other person. Agape love is not easily provoked or offended. In fact, this kind of love will love its enemies. Agape love never fails. It ultimately wins. This is the LOVE that is part of the Fruit of the Holy Spirit. It is part of the character and personality of God. 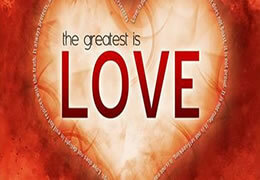 1 John 4:8 says that “…God is love”. God wants you to show His personality of love in your own life. God wants you to love just as He loves. As a born again Christian, God’s Holy Spirit dwells inside of you. The Holy Spirit is able to teach you, guide you and enable you to show Agape love in your life. Having such a Fruit inside of you and working in you through the enabling of the Holy Spirit will result in you being more like God in character and will bring all glory to God through Christ Jesus. TODAY. Walk in the Spirit. Show Agape love. Can The Sinner’s Prayer Save?